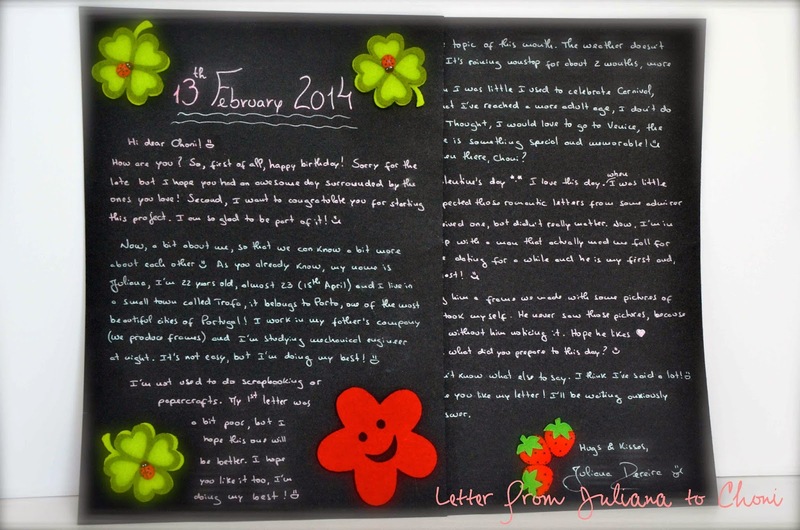 This is the pretty letter Juliana (Portugal) has sent to Choni (Spain) for February. 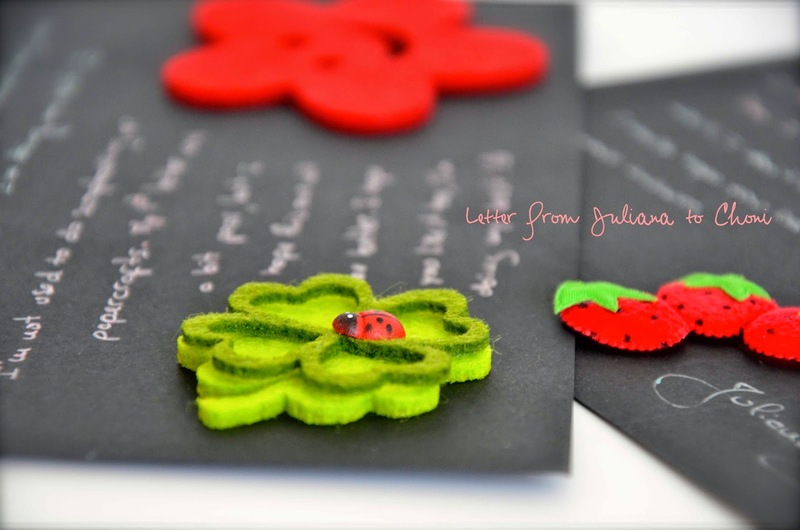 It's a lovely letter with Love as the main theme. Y esta es la carta tan bonita que Juliana (Portugal) le ha enviado a Choni (España) en febrero. Es una preciosa carta con el Amor como tema principal. 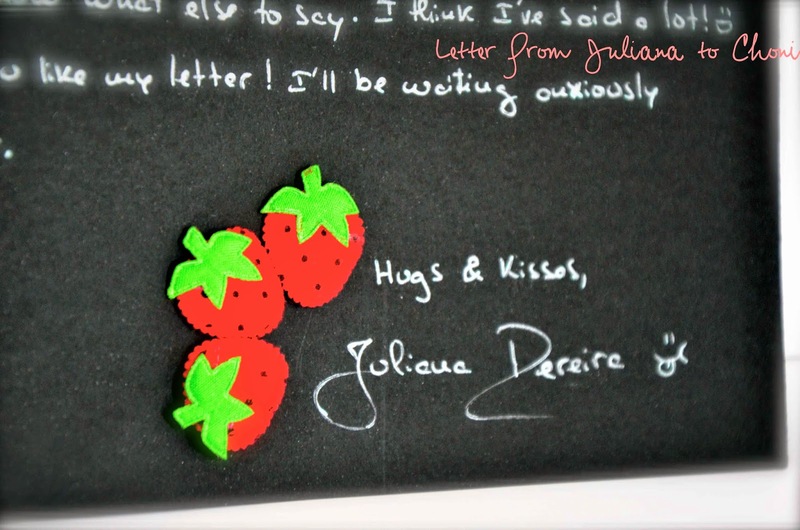 When you read it you can find different colors using for write the letter on the black sheets... so cute. Cuando la lees, puedes ver diferentes colores sobre las hojas negras en las que se ha escrito la carta... qué coqueto! 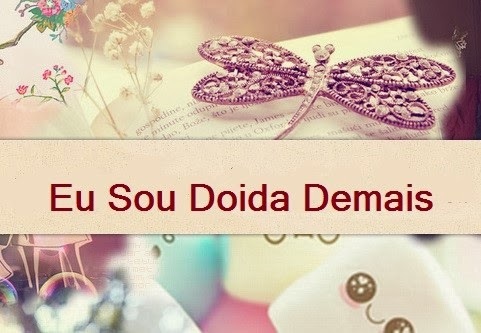 Love her sign... so pretty.